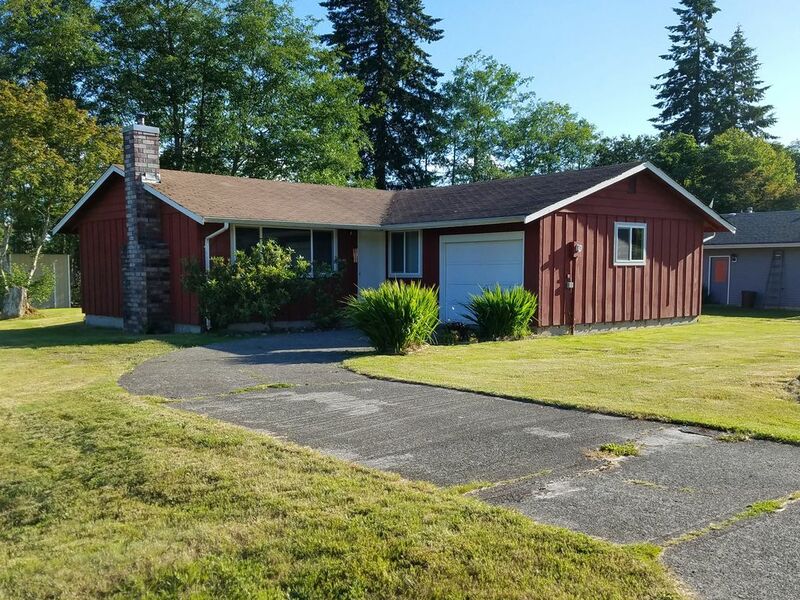 This home is conveniently located in the heart of Forks and is surrounded by the beauty and adventures of the Olympic Peninsula. The 1,100 square feet of this cute, fully furnished single family home features 3 bedrooms, 1.5 baths, fully supplied kitchen, charming wood stove, washer and dryer, free wifi, Keurig coffee, private parking, friendly neighborhood, and minutes from shopping and restaurants. Enjoy all that the Forks area has to offer and then come eat and rest in this lovely home! I look forward to sharing my hometown of Forks and the Pacific Northwest with guests from all over the world. There is so much beauty to be seen and adventures to be explored in this area! I am excited to be part of that experience with my guests and be available for any assistance. I am a retired dental hygienist and am making a career change into the vacation rental business. I am a mother of two teenage boys who keep me very busy and my heart full. This home is perfect for any size of group up to 7 people and is fully stocked for dining in, showering, laundry, and visiting. The nice size backyard is private and is perfect for the kids, dogs, and relaxing in chairs. There is a fire pit where you can built a little fire to sit around and roast marshmallows and hot dogs. The house is clean, has extra little amenities that you will appreciate, and is only a mile away from downtown activities. Building a fire in the outdoor fire pit will give an outdoor feel to your Olympic Peninsula adventure. Gather camp chairs and wood stumps around it to enjoy the warmth of family and let the kids roast some marshmallows and hot dogs for a fun, tasty treat. Shampoo, conditioner,and body wash are supplied and extra toiletries for your convenience. Forks is a quick 15-30 minutes to several beautiful beaches along the Pacific coast. Each beach capturing its own beauty with sand, rock, drift wood, sea stacks, and tide pools. Forks is a quaint town with the next town miles away. Country, small town feel to the town. Forks is a valley with hills and mountains surrounding it. It is the perfect central location when exploring the beauty of the Olympic Peninsula. A gift basket with some breakfast and snack items are always left for you to enjoy! Perfect home base for adventuring on the coast and exploring the nearby Hoh rainforest. Very cozy beds and nice extras like board games, movies and snacks for rainy nights. Highly recommend! We really enjoyed our stay at this property ! And what a great value ! The house was very clean and well situated to all of the local attractions. Julie provided us with a variety of treats and some breakfast items in a welcome basket . And she was very attentive to any additional needs or questions that we might have . The fire wood was well cured and readilly burned. We would highly recommend this rental to anyone ! I visited Olympic NP with several friends and stayed at this comfortable house for one night. This gives us the feeling of home. The rooms are very clean. Everything in the house is well organized. You cannot expect better than this home when you travel outside. Thanks, Julie! This house is great! It was very clean and had lots of extra touches to make our stay comfortable! We had 4 adults and 1 three year old and it was perfect! The kitchen was well stocked! Communication with the owner was great! We used it as a jumping off location for HOH Fainforest and the beaches! I would definitely stay here again! We enjoyed staying here. There are some very cool things to see very close by. The house was clean and comfortably slept our family of seven. We loved visiting the Hoh Rainforest and the multiple beaches close by. Thanks for having us! Thank you for your kind words.. I really enjoyed communicating with you and I hope you will be back to stay again! Take care! My elderly dad and I were on a road trip that took us to Forks Washington and through the Olympic Peninsula. We stayed at this lovely VBRO and couldn't have been happier. It provided separation of space to make it comfortable with 3 bedrooms (we only used two) and 1.5 bathrooms. The thoughtful details like laundry soap, shower products and even bottled water and fresh fruits/snacks were much appreciated! The home appeared to be recently updated with tasteful, modern decor and was festively decorated for Fall when we stayed there which added to the "homey" feeling. Not only was the house clean, it was well-stocked with ample fresh towels in the bathroom and kitchen plus some basic kitchen pantry items/spices. We didn't get a chance to do a little bonfire in the backyard due to weather, but it is set up for that and looks fun. Our hostess non-intrusively checked-in with us via text to make sure we had everything we needed - so thoughtful and complete. If you are looking to explore the Pacific Northwest, Forks is nestled in the middle of it all. Our home is located in a quite, family friendly neighborhood that is 1 mile to downtown restaurants and shopping. There are sidewalks along the street for safe walking or bike riding. It is the perfect central location to regroup, rest, and eat in between your scenic and exciting outings.